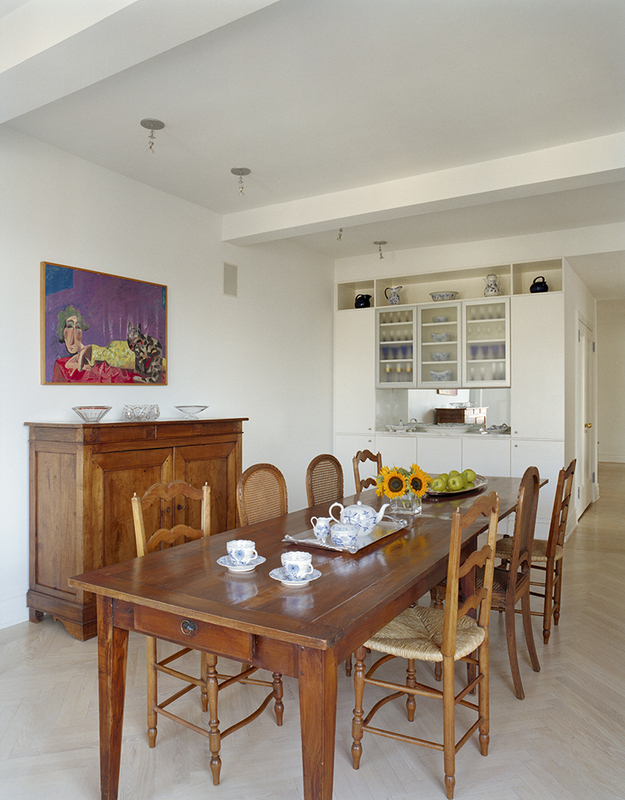 Keeping the core of this prewar apartment intact, the former kitchen, maid’s room and bath area were completely reworked to create separate family/guest room. 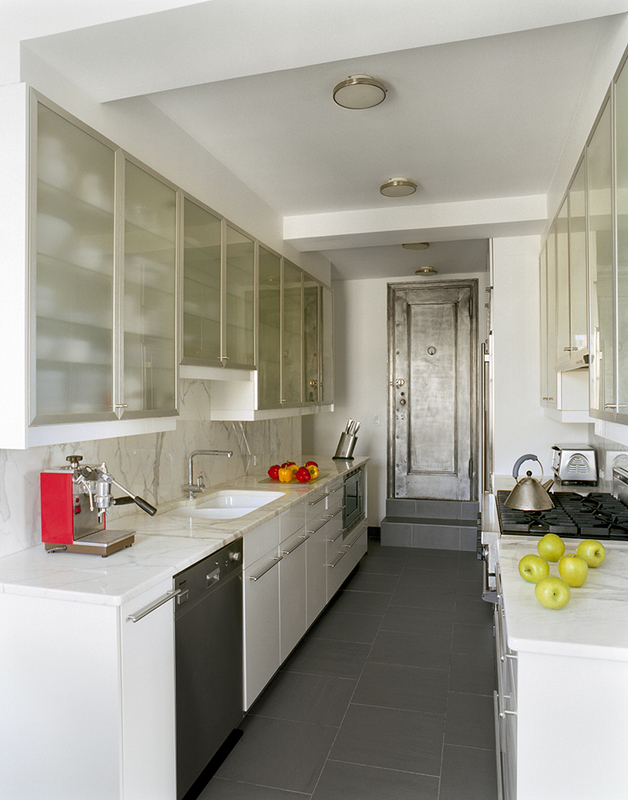 The maid’s room and kitchen were flipped so that the updated kitchen is now adjacent to the dining room, and creating a flow of rooms more suitable to contemporary living. 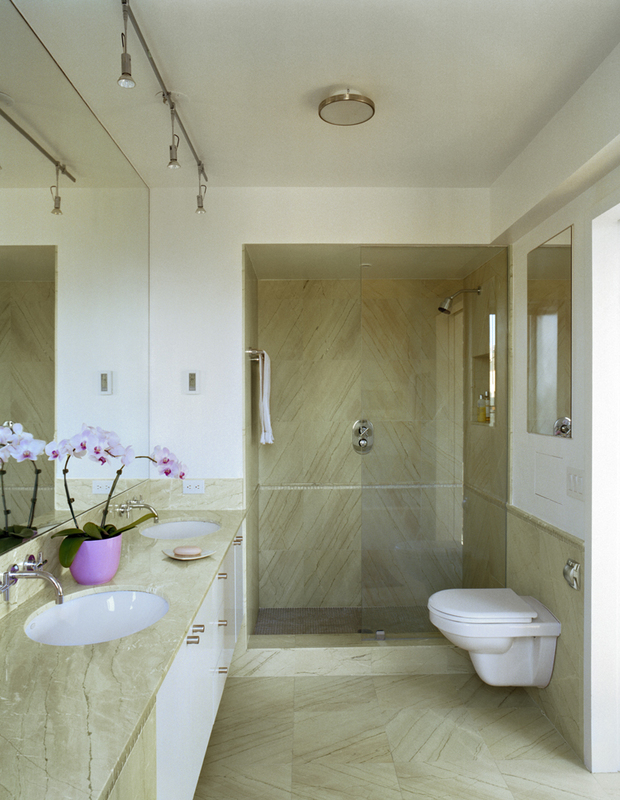 The bathrooms were updated with contemporary amenities, including wall hung vanities and toilets, along with radiant flooring. 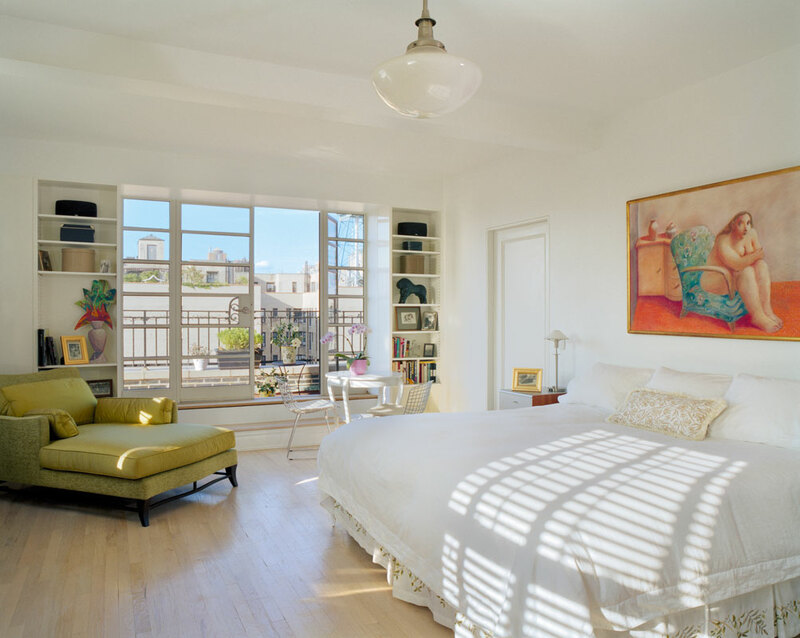 New steel french doors and sidelights were added to the master bedroom to open the apartment up to the views north.